Home / El Clasico / The upcoming Classico! How will it pan out? The upcoming Classico! How will it pan out? The 2018/19 football season beckons and Madridistas are still waiting for the high profile signings that club president Florentino Perez promised in the course of unveiling some of the new arrivals at the Bernabeu. 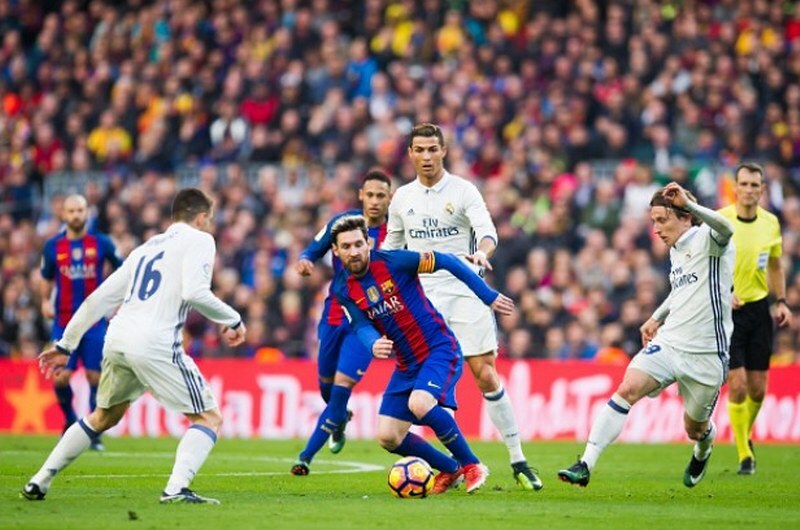 However, the wait for the schedule of the El Clasico fixture that would see Los Blancos line-up without Cristiano Ronaldo for the first time in almost a decade is done. the Catalan giants will be the ones to host the first leg of the game at the Camp Nou on October 28. A new look Classico is on the cards and another notable absence would be Andres Iniesta. Will the El Classico still possess the much flavor it had when Ronaldo was present for the Los Blancos? Who’ll be the new Madrid spearhead in attack to destabilize the Catalan side starting from October 28? Who’ll be the new catalyst in the middle of the park for the Catalans? We’ll get to see an El Classico fixture where Messi won’t be on the lookout for the dangers that a certain Portuguese would pose to his side. Well. the transfer window is still open, and regardless of the absence of Real Madrid’s former talisman, the Real Madrid hierarchy still have the chance to make that high profile signing or signings that would give Los Merengues and edge over the Catalans in subsequent Classico fixtures. Barcelona have been enforcing their side ahead of the new season with the arrival of Arthur in midfield, and recently unveiled Brazilian winger Malcolm from Bordeaux. Meanwhile, the likes of Hazard, Neymar, and Mbappe have been linked with a move to the Bernabeu this summer. Going by how the El Classico has been renowned as a fixture that sees world class players on display, we wait to see who Madrid will choose to fill the great void that has been left by the departure of Ronaldo. The game will definitely see Messi trying to pull the strings for his Barcelona side. Hopefully, the new man who is yet to be unveiled at the Bernabeu as the spearhead of Real Madrid’s attack for seasons to come will have many things to say about that.